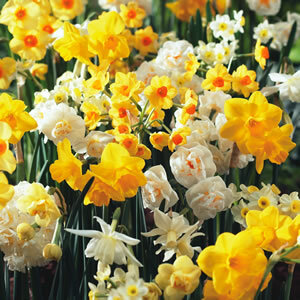 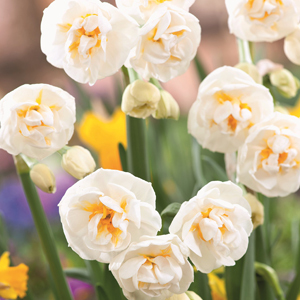 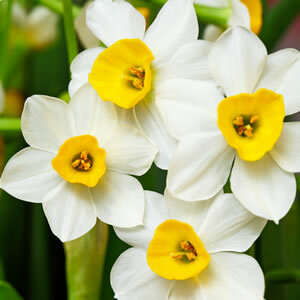 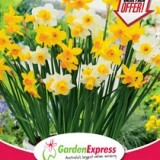 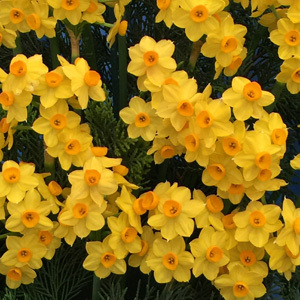 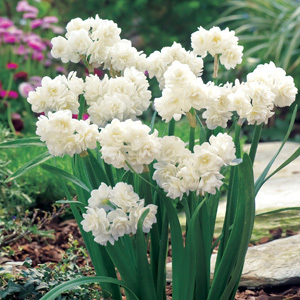 Jonquils (Narcissus hybrids) : Come in miniature, single and double varieties. 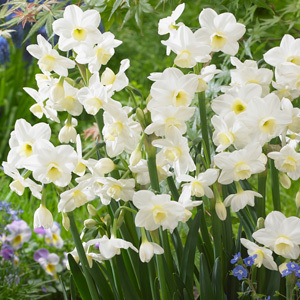 A favourite in every garden, an early flowering bulb starting from mid winter, they have a strong fragrance and grow well in warmer climates. 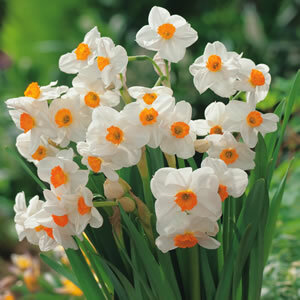 Jonquils are ideal in pots and make excellent long lasting cut flowers. 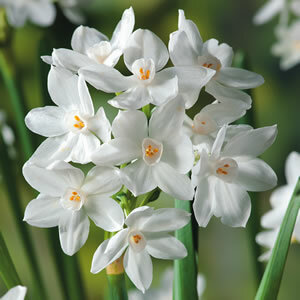 With a cluster of small flowers on top of each stem they make a big impact in both colour and fragrance.